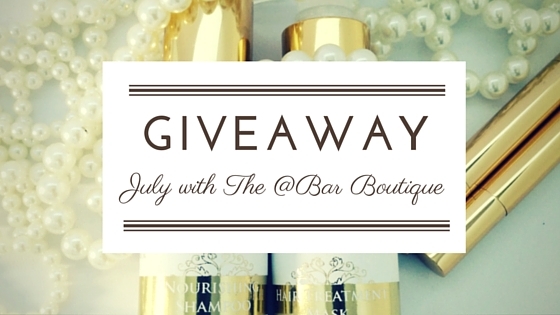 Its our July giveaway! We are super excited to have up teamed up with the @Bar Beauty Boutique this month. The @Bar Beauty Boutique want to provide a platform for independent beauty brands, giving them an avenue of distribution and awareness through our retail stores and website, and to give the woman of colour access to brands and products specifically formulated for their hair and skin type. @Bar Beauty Boutique is a store that you can walk into and test the products before buying. We are aware that buying a product that you are not familiar with online can be a very expensive purchase if you cannot return the product for example if the colour match is wrong or you just don’t like the smell of a beauty product.So stop by and see us soon! Just sign up to our newsletter by entering your email address in to the bar below, click the pink button. This is a giveaway not to be missed, enter today.